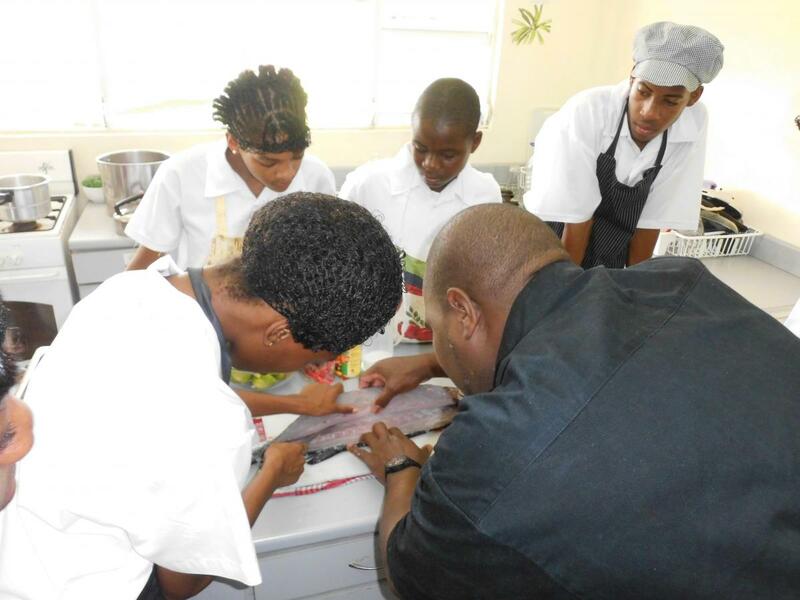 “Watching these young aspiring chefs cook and seeing their skills unfold is fantastic and the best feeling in the world, because I know that we are helping to change the lives of not only these young chefs but the lives of their entire families and friends” says Wendel George, Tourism Enhancement Fund Projects Coordinator. The Tourism Enhancement Fund (TEF) exclusively supported Megan Felicien and Brittney Henry while preparing for and during their representation of Saint Lucia at the Barbados Dueling Competition held in Barbados last week. One of the pillars that the SLHTA established the TEF on is Comprehensive Youth Development. Once again, this has come to materialize through the outstanding performance of seventeen year old Megan Felicien and twenty-one year old Brittney Henry. The SLHTA and the TEF are extremely proud to have invested in these leaders of tomorrow. 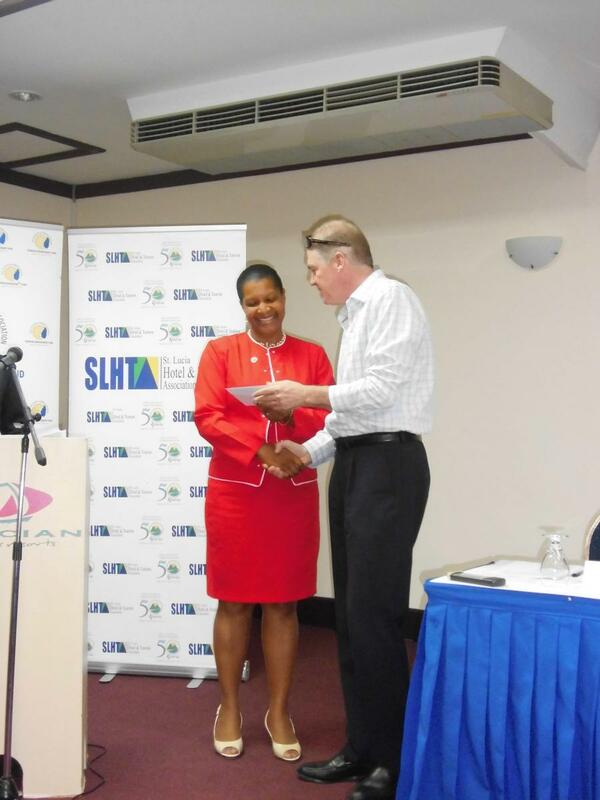 The work that the Saint Lucia Hotel and Tourism Association (SLHTA) is associated with is phenomenal and is being praised at a national and regional level. 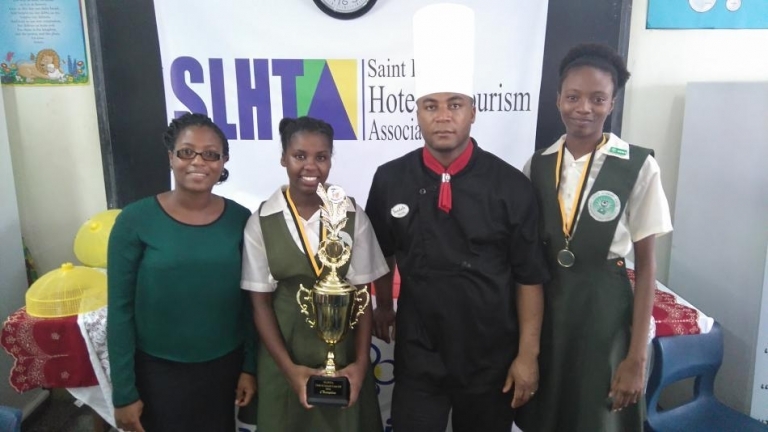 The SLHTA has been making strides at a secondary school level, and has made major impacts on the way students view Tourism as well as Food and Beverage and Culinary Arts in Saint Lucia. At the rate in which Tourism Industry is moving, the Association sees this as an opportunity to groom our youth to not only become our leaders but be better equipped to lead. 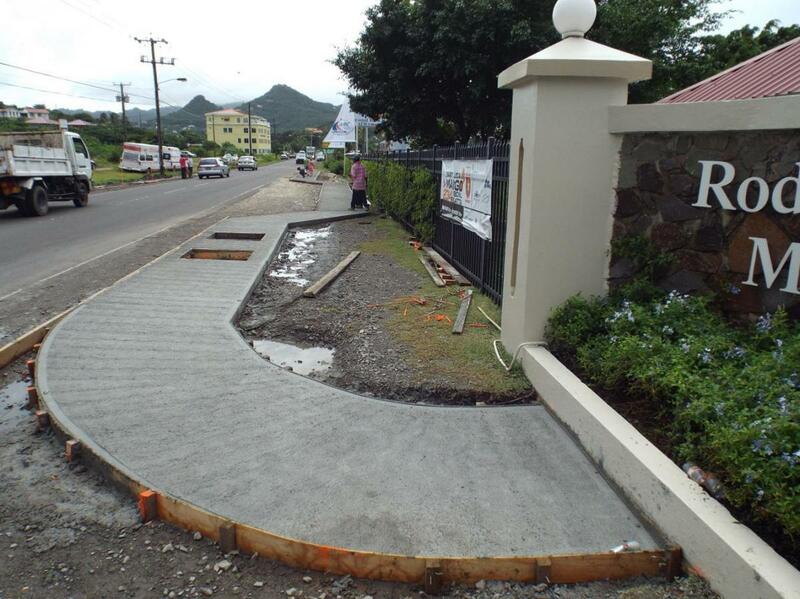 This industry plays a major role in the Saint Lucian Economy and by extension the livelihood of the local populous. Therefore the Association wants to nurture talent that will ensure sustainability of our Tourism Product. The SLHTA established the Tourism Enhancement Fund in 2013, because it envisioned Tourism playing a more vital role in society along with the much needed development of the island sites and attractions and more importantly its people. From a $2.00 US per night voluntary contribution from guests, SLHTA has been able to invest at least two Million dollars in youth development initiatives, Apprenticeship Programs and the upgrading of various tourism products among others. To this date, SLHTA’s Tourism Enhancement Fund has invested over EC$260,000 in the development of Culinary Arts in St Lucia since its establishment. The SLHTA is confident that today’s’ investment in the arts will integrate well into the growth and sustainability of Saint Lucia’s Tourism Industry in the coming years. We extend sincere gratitude to the member companies who are committed to this fund and continue to encourage their guests to contribute. 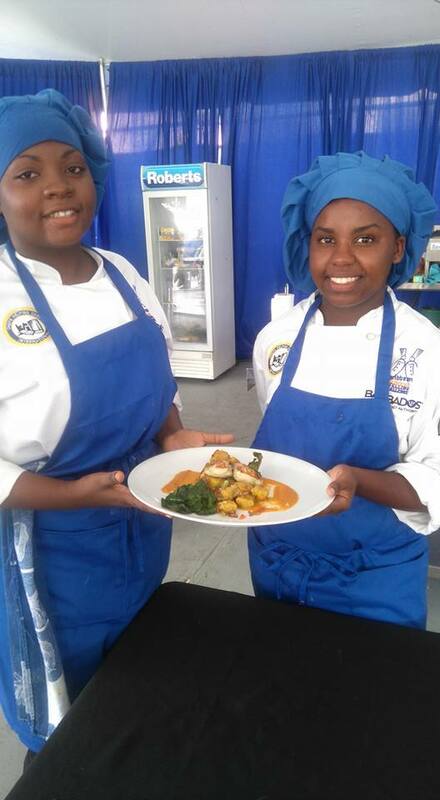 Seventeen (17) year old Megan Felicien of Trios Piton and (21) twenty-one year old Brittney Henry of Ciceron gave an outstanding representation of Saint Lucia at the Barbados Junior Chef Dueling Competition. The two aspiring chefs formed a culinary power bomb and emerged number one for the National Dish Segment and the Mystery Basket Round. They were able to secure Gold Medals for the National Dish and Mystery Basket rounds. However, the culinarians were awarded third place in the final round of competition. The competition also served the purpose of enlightenment. The two junior chefs attended seminars conducted by highly esteemed chefs in the region. 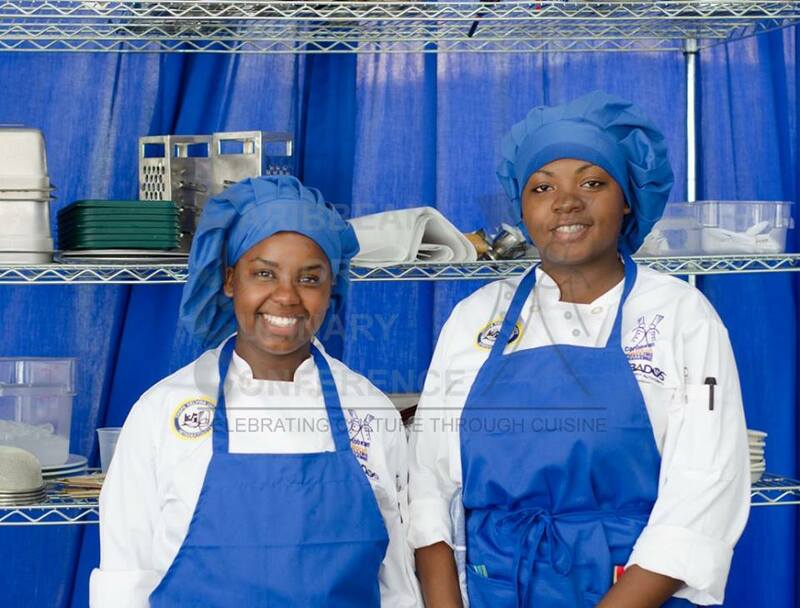 The two young women are now exposed to the thrill and pressure from competition on a regional level and now understand the discipline required to become a professional chef. A part from competition aspect, Megan and Brittney also had the privilege of interacting with their regional counter-paths in a forum where they learnt about their cultures through food. Megan Felicien and Brittney Henry were accompanied by Mr. Billy Boyle the passionate Executive Chef at Marigot Bay Resort and Marina by Capella whom also spent time grooming them for the competition and Mr. Wendel George who is the team’s coordinator. The competition took place in Barbados from the 21st August to 27th August 2017. A competition with a difference; full of anticipation and excitement was this year’s cook off competition hosted by the SLHTA. The event catered for a small studio audience made up of Students, teachers and parents who came out to cheer and show support for their respective culinary teams. The SLHTA Chefs in Schools Competition is an annual cooking event which targets Food and Nutrition students of forms 3-5 who are passionate about cooking and desirous of a career in Culinary Arts. Adopting a similar format from Barbados’ Caribbean Junior Duelling Challenge, students fought their way through two rounds of competition including the Signature /Freestyle round and Mystery Basket round. After the first round of competition which included all the six participating schools, only three schools made it through to the second round. Corinth, Soufriere and Ciceron Secondary Schools presented the most impressive dishes and it afforded them a place in the finals, which was the mystery basket round. After 90 minutes to discuss, prepare and present their dishes with the excitement and buzz from the audience, the teams astounded the judges with beautiful and flavorful dishes. Megan and Michaela will be traveling to Barbados in two months to represent Saint Lucia at the Caribbean Junior Duelling Challenge. The Saint Lucia Hotel and Tourism Association Inc (SLHTA) would like to congratulate all the participants in this year’s competition including Gros Islet, Sir Ira Simmons, Babonneau Secondary Schools, and the top three schools Ciceron, Soufriere Comprehensive, and Corinth Secondary Schools. The SLHTA Tourism Enhancement Fund (TEF) distributes over 150 food hampers to families and homes in need across the island. The annual food hampers are funded by the Tourism Enhancement Fund which is financed by voluntary donations from visitors to our island. Families in Gros Islet, Castries, Ciceron, Millet, Canaries, Vieux Fort, Dennery and Babboneau will benefit from these hampers this year. 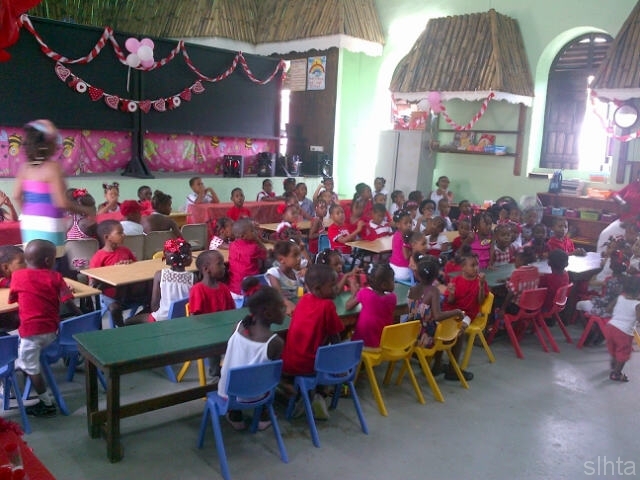 Each hamper contains rice, flour, canned tuna fish, canned sardines, luncheon meat, cereal, hygiene products, crackers, peas, milk, sausages, sweets, pastas, salt, sugar, juices and a variety of snacks. The St Lucia Hotel and Tourism Association as part of its mandate to further Human Resource Development in the tourism industry hosted an eight week wine training course for twenty-one beverage professionals from member hotels and restaurants. The course facilitated by Jasper Kok, Executive Assistant Manager for Food & Beverage at Cap Maison Resort & Spa, provided attendees with an intensive eight week course titled Foundations of Wines of the World. 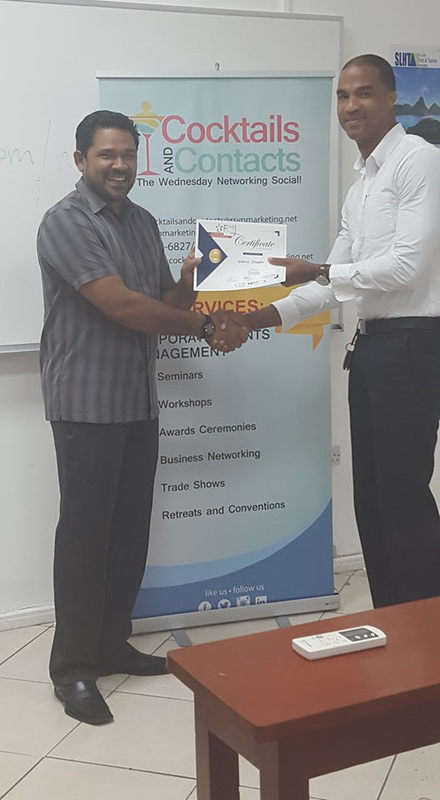 On Wednesday January 27th, the participants received their certificates at a ceremony held in the SLHTA’s Hospitality Training Centre at Rodney Heights, Gros Islet. This course, the second of three levels, provided an approachable insight into international wines, grapevines, wine Regions, wine cultivation, wine making, wine styles, reading the label, professional serving standards and basics on food and wine pairing. This course and the many like it to follow will provide industry workers the opportunity to become more skilled in their chosen profession while advancing the quality of service offered to visitors to the island. The SLHTA and the Tourism Enhancement Fund has committed much funding towards Human Resource Development with the understanding that it is critical to productivity, competitiveness and creating positive and empowering work cultures. Chief Executive Officer, Noorani Azeez, in his comments to participants emphasized that, “We need to maximize the returns of tourism for each one of us by taking advantage of new opportunities that the growing tourism industry provides. However these opportunities can only be realized through the advancement of knowledge. SLHTA members La Cantina Wines, Peter & Co. Ltd, St Lucia Distillers Ltd., and Bel Voir Estates contributed over 60 wines towards the training program, allowing participants to experience a wide variety of flavors. The Saint Lucia Hotel and Tourism Association (SLHTA), on Tuesday February 16th 2016, made a monetary contribution to the Cultural Development Foundation (CDF) through the Tourism Enhancement Fund, in support of the organization’s capacity building efforts. 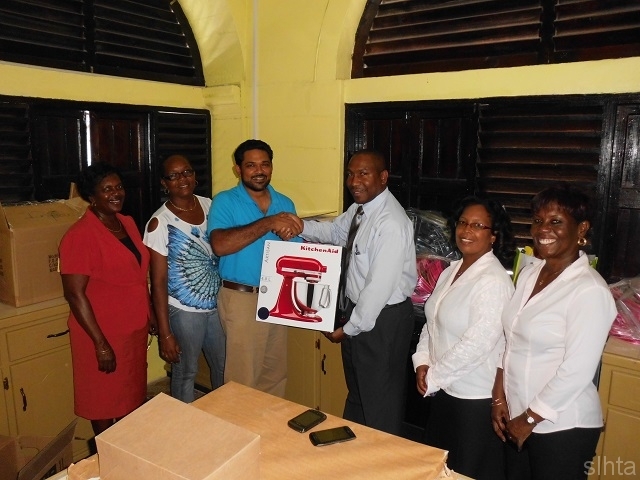 The handing over took place at the SLHTA office on Rodney Bay where Yola St. Jour, Finance and Administration Officer (SLHTA) presented Celeste Burton, Director for Training, Promotion and Development (CDF), with the cheque amounting to twenty-six thousand and fifty dollars ($26,050.00). The grant will fund the 2016 steelpan training, one of CDF’s focus areas for development. In 2015 the CDF conducted two categories of training in steelpan: Music Theory and Steelpan Tuning. Music Theory Phase II was designed for participants who had previously completed Phase I and Music Theory Phase I welcomed a new cohort of participants in the southern communities. Steelpan Tuning was open to representatives of all steel-pan orchestras island-wide. 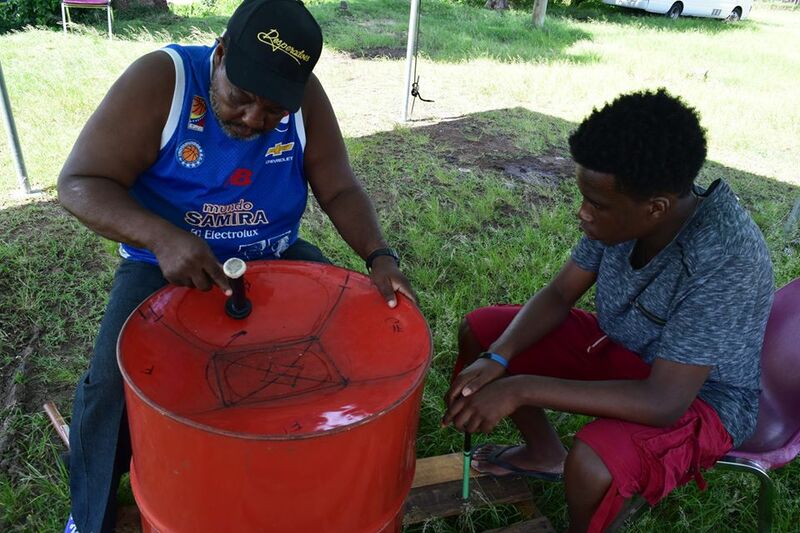 These steelpan training programs are decentralized to reach communities around the island and ensure equal opportunities are provided for youth who are out of school, un-employed, and for ‘rural’ communities. Funding from the SLHTA will ensure that sixty-five (65) participants in July and August, 2016 complete training in the categories highlighted. This year, forty (40) youth will be facilitated at two (2) training sites where the focus will be on Music Theory I and II. It is hoped that twenty – five (25) aspiring pan tuners island-wide will benefit from the Pan Building and Tuning workshops. Through support from the Tourism Enhancement Fund, is ramping up its response to the Zika virus outbreak on Saint Lucia, with the use of mosquito traps. Chief Executive Officer of the (SLHTA), Noorani Azeez informed SLHTA members at a meeting on Tuesday 19th April 2016 that the government has granted concessions to the organisation to procure the mosquito traps. Azeez said this could significantly help members, especially in light of recent research which has shown that fogging is not as effective as it was thought to be. “We are certainly dealing with an insect that seems to be far more intelligent than we give it credit for, and it has a strong survival instinct and we have to ensure that our measures are ramped up so we do not take anything for granted,” Azeez asserted. During Tuesday’s meeting it was also agreed that the SLHTA will continue to boost its education and environmental activities as it relates to the Zika virus. “It’s about taking action. 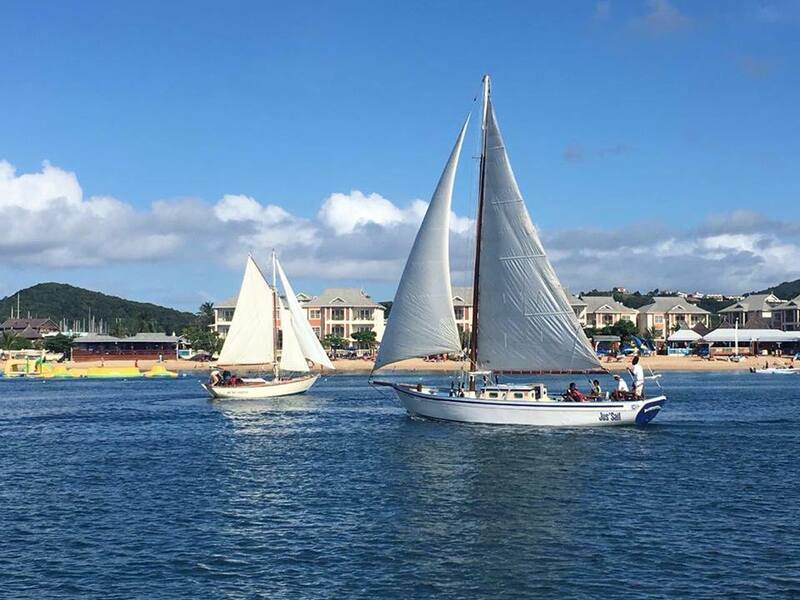 It’s about ensuring that all the things we have learnt, those who are connected to SLTHA Facebook page, and those who follow health and tourism and what’s happening it’s very important that we put it to action,” the SLHTA CEO stated. 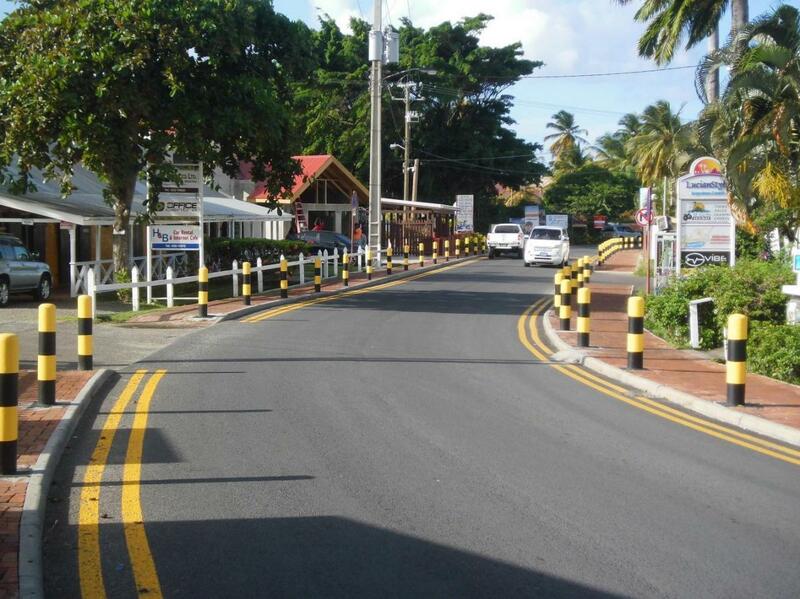 The association also examined findings from pilot programmes that they have been funding and initiating over the past few months arose the island. The Saint Lucia Hotel & Tourism Association through the Tourism Enhancement Fund is proud to be a Gold Sponsor of RISE St Lucia’s Good Food Revolution. On Thursday 19th May, 2016, Tourism Enhancement Fund Chair, Karolin Troubetzkoy, handed over the first installments of the fund’s financial commitment to the project to RISE Director Dr Stephen King. Launched in January 2016, the project seeks to reduce the consumption of GMO’s (genetically modified organisms) and increase the use of healthy, organically grown foods by the Saint Lucian populations. The project was born in response to an unprecedented and alarming rise in chronic non-communicable diseases in Saint Lucia. The creators of the Good Food Revolution believe that this dangerous rise ‘is in great part due to the replacement from Saint Lucian diets of wholesome traditional fruits, root crops and vegetables from the local agricultural biodiversity, to highly processed imported options’. On the occasion of this partnership, SLHTA Chief Executive Officer, Noorani Azeez, spoke to the SLHTA’s growing commitment to the Agricultural sector. 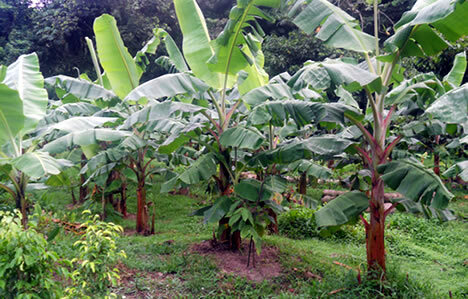 “In the beginning of this year we made a commitment to strengthen sustainable linkages with the Agricultural industry and to continue to work toward Saint Lucia’s sustainable development. We are excited to partner with RISE on this project as they seek to educate farmers and the community at large in processes that would create a healthier nation for generations to come”. The Good Food Revolution is also in partnership with the Ministry of Sustainable Development, Energy, Science and Technology (MSDEST) and the Ministry of Agriculture, funded in part by UNDP Global Environment Facility (GEF) Small Grants Programme. The first round of training for 40 farmers in organic farming began in early May. The SLHTA is honored to support this important initiative. Congratulations to the participants who successfully completed the 5 Things Every Entrepreneur Should Know training program hosted by Cocktails & Contacts. The SLHTA’s Tourism Enhancement Fund was a key sponsor for the training which targeted a number of small business owners, many of whom are registered with the Small Enterprise Development Unit. Topics included; Maintaining your Competitive Advantage presented by Michael Chastanet, How to make Tax Less taxing presented by Charmaine St. Remy, Positioning your Business to be a Great Investment presented by Christopher Roberts, Networking the Key to Success presented by Noorani Azeez, and Innovation the Key to Efficiency presented by Leslie Collymore. The initiative was organized by Shernell Lionel of Cocktails and Contacts. SLHTA CEO, Noorani Azeez, applauded these efforts in saying, “it is very encouraging to see such brilliant ideas being birthed in Saint Lucia”. Karolin Troubetzkoy, Immediate Past President of the St Lucia Hotel & Tourism Association and President of the Caribbean Hotel & Tourism Association, has been elected as Chairperson of the Tourism Enhancement Fund (TEF) effective immediately. She is preceded by now SLHTA President, Mr Sanovnik Destang, and will serve as TEF Chair until January 2018. 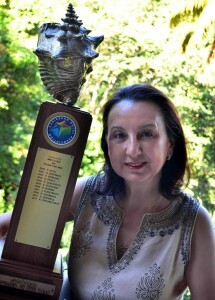 Troubetzkoy served as President of the Saint Lucia Hotel and Tourism Association (SLHTA) since 2010 where she has been instrumental in the successful implementation of a hotel booking engine for the association, increased social media presence as well as the launch of a Saint Lucia Tourism Enhancement Fund. In January of this year, she spearheaded the SLHTA initiative of declaring 2016 the Year of the Environment. She also oversaw the development of a broad social media platform for the SLHTA as well as the launch of several websites. The Tourism Enhancement Fund (TEF) is a private sector initiative established in 2013, it is designed to allow the Tourism industry greater opportunity to play an integral role in the sustainable development of our destination and people. The TEF is financed by a small, voluntary donation from member hotel guests’ of $2 USD per night, and goes towards community development and environmental projects and actions. 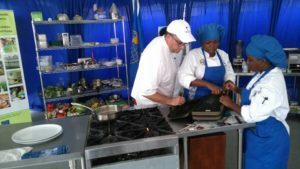 The TEF has spearheaded many projects over the years, including its Apprenticeship Program, the Community After School Program and the Chefs in Schools Program. “As part of our vision for 2016, we are committed to the advancement of Human Resource Development in our young tourism workers; through our Apprenticeship Program, our training programs and the provision of professional development courses to current industry workers, our hope is to grow multi-skilled, empowered workers who can help grow the industry sustainably in a highly competitive, globalized environment”. Troubetzkoy has served as a Director of the Saint Lucia Tourist Board for several years and has been an active member of the Destination Marketing Committee for the past 20 years. Troubetzkoy is the Chairperson of CHTA’s Caribbean Alliance for Sustainable Tourism (CAST) and previously served as Chairperson of the CHTA Advocacy Committee from 2012-14. She is also a Board member of the Caribbean Tourism Development Company (CTDC). Troubetzkoy has successfully spearheaded the marketing and day-to-day operations of the award-winning Anse Chastanet and Jade Mountain resorts for more than 30 years. Troubetzkoy is a past recipient of CHTA’s Caribbean Hotelier of the Year Award (2012), St. Lucia Hotelier of the Year Award (2006) and Crystal Award for services to the hotel industry from the St. Lucia Hotel and Tourism Association. She holds a degree in business administration with majors in both tourism marketing and hotel and restaurant management from the University of Applied Sciences in Munich, Germany.